The Mini Whisper nitrogen generator has been developed to meet flow, purity, and pressure requirements for light scattering detectors and some LCMS interfaces. 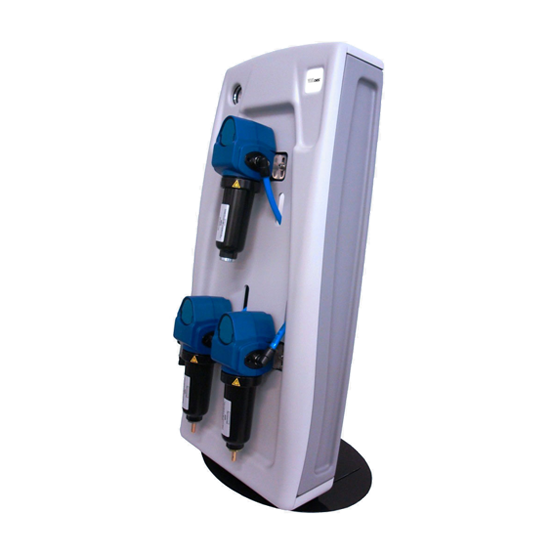 The low pressure drop means that the Mini Whisper can share a dry, oil-free compressed air source already in your laboratory. The simple yet highly efficient membrane technology separates nitrogen from the other components of a compressed air supply. When the compressed air is forced through the hollow fiber membrane, components like oxygen, carbon dioxide, water vapor, and traces of rare gases pass through the membrane. Nitrogen diffuses through the membrane slower than the other components, so it remains behind, ready for use. The consistent purity of the nitrogen in the Mini Whisper improves system stability and ensures reproducible results. Nitrogen produced at low pressure and room pressure eliminates the risks associated with high pressure gas bottles and the handling of liquid nitrogen.